AVON LAKE, OHIO (MAY 11, 2012) – Boom Mat™, a division of Design Engineering, Inc. (DEI) and a leading brand of automotive performance acoustical and thermal insulation, introduces a new Jeep Wrangler Sound Deadening Headliner for 1997-2006 TJ models. Riding in a Jeep is great fun except for the truck’s propensity for interior noise that makes it difficult to hear conversations or enjoy your stereo. Now there is an easy solution. Boom Mat’s new Jeep Wrangler sound deadening headliner is a simple peel and stick kit that dresses up the interior of Jeep hard tops while minimizing annoying outside noise with high quality marine grade acoustical foam that resists mold and mildew insulating you from outside heat or cold with an R4 value. 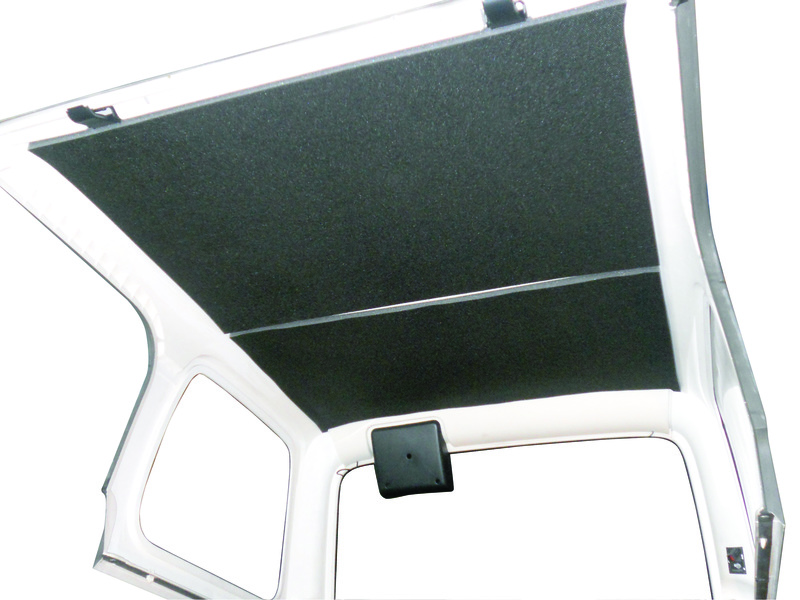 With use, the headliner reduces noise levels 3 to 4 decibels. This is a significant change in noise level that will make it easier to have conversations and enjoy your favorite music. Boom Mat’s Sound Deadening Headliner is available in black, gray or white for all hard top equipped Jeep Wrangler 2 & 4 door JK’s 2007 to 2012 and for the 1997-2006 TJ’s. For more information on Boom Mat’s new Jeep Wrangler Sound Deadening Headliner, just one of many Boom Mat performance acoustical and thermal insulation products, visit:www.BoomMat.com. For technical assistance on this and other Boom Mat products, call toll free at 800-264-9472, or e-mail: Sales@DesignEngineering.com. Design Engineering, Inc. (DEI), founded in 1995 by the late Dale Markley and based in Avon Lake, Ohio, is the leading aftermarket supplier of thermal tuning, heat, and sound control products. DEI engineered products offer the most effective means to improve an engine’s cooling efficiency to enhance performance. Additionally, DEI manufactures Ny-Trex™ nitrous systems and components that are sold nationwide to the motorsports, automotive, motorcycle, powersports and marine enthusiast markets. In 2009, Design Engineering entered the turbocharging market by partnering with SPA Turbo of Brazil to become the official North America supplier of SPA turbos and components.